There can be only one copy of a Legend with a unique name on the battlefield at a time. If there were ever more than one Legend with the same name, they are all put into the graveyard due to state based effects. Now, the “Planeswalker Rule” was almost the same thing, except it checked to see the Planeswalker type, not just the name. So this meant that If I have any copy of Jace on the battlefield, and you cast any Jace, they both go to the graveyard. This was the same with Legends; if I have a Rafiq of the Many and you reanimate one from your graveyard, they both go to the graveyard. This played a huge role for two reasons: One, it would keep the “power” of Legends in check because you could just play yours and get rid of your opponents; and two: it solved the issue flavor wise of both of us are trying to use the same character and, just like in any time travel movie, the character would just disappear because it couldn’t be in two places at the same time. There was one added part to the “Legend Rule”: if you were to copy a Legend, using Clone or another variant, than the copy and the Legend went to the graveyard. Each player now gets to control a copy of a Legend with a Unique name, and if you cast one you already had you get to choose which one goes to the graveyard. Planeswalkers now work like that as well, meaning everyone can have a Jace on the battlefield. Oh, and Clones can’t kill Legends anymore. Of course, this isn’t the only change with M14 (the sideboarding part will get some discussion once this initial rules shock wears off), but you can see a shifting of the way Magic is being handled. And we’re going to discuss that. There was, and currently still is, a heavy push towards the fantasy game that many of us feel in love with when Magic first came out. WotC decided that the game shouldn’t dictate on who could out-rules each other; the point of playing Magic was to have fun. The changes in philosophy of design was that it needed to be “resonant and flavorful”. This was a huge hit for Vorthos fans, and for the game in general. Magic 2010 was a huge hit and the following sets have been dripping with flavor and fun (most of the time). In fact, a huge shift of the game has gone towards the Vorthos (Flavor lover) side. There were some benefits of changing the zone names and other terms (such as “dies”) that did create design space. You can do more when you can fit more words on cards. Exile, Battlefield, and Cast are there to help evoke the feeling of being in a magical battle,not just for rule. But for the majority of the time, most of the choices in the past few years have leaned heavily towards the Vorthos side of the decision instead of the Melvin (Rules lover) [Breakdown of Vorthos/Melvin is here if you don’t know what I’m talking about]. Now the Melvins strike back with M14. The pendulum is shifting slightly back to more gameplay that the feel of the game. You can’t just make the game all about flavor, because that would just break down what you could and couldn’t do. Magic needs both flavor and rules to work. Take creature type for example. It would be awesome to have every type of bird out there, right? Hawks, and eagles and hummingbirds each getting represented in the game. This would be hugely flavorful as you could design small hummingbirds and huge Lord of the Ring eagles, each with different mechanics. But, if you were trying to make a card that benefits all birds, how do you do that if each one is a different creature type? Is the following creature type line worth it for just a slight flavor benefit? The flavorful “Race/Class” model than can be used for both Vorthos and Melvin enjoyment. Vorthos can get the feeling that the creature has a role in society while Melvin can use this as ways to explore the game and how it interacts with other cards. You can still eek out flavor with card names, art, and of course, the mechanic. The rules of the game cares less about art so more attention has to be paid towards the other areas. We first saw this shift to more rules oriented with the changes to Slivers, which are coming back to M14. I’m not going to comment on the art, but the major shift of how Slivers are played has rubbed people the wrong way. Instead of affecting all Slivers, the creature type now only benefits ones you control. I won’t get too much into the debate here since I’ve got a planned Sliver article, but this change needed to be done. Lords have changed under “New World Order”, and only benefit your creatures. With Slivers being a Lord creature type, this had to happen (and the fact they had no where to go as well, but again, that’s a different column). The nostalgia and flavor fans of Slivers hate this choice. But the game and the board state will be easier to keep track of and it will make Slivers “more fun” to play. Huh, it’s ironic that a company that makes games cares about its customers having fun. That’s what a majority of these changes are about: having fun. WotC has done studies to find that people love playing with their cards. The old Legend/Planeswalker rule didn’t allow players to play with the cards they put in their deck; it sometimes served as an answer to an opponent’s legend or Planeswalker. If I put a card in my deck, I want to play with it, duh. I really don’t want to pay $30 for a Planeswalker to make my opponent get rid of theirs. That’s not why I put it in my deck; it’s because I like the card and I want to play it with the rest of my cards. This is the reason for this change. Before I hear groans of “WotC is just dumbing down the game and making it easy for noobs to play. Again!”, I want to head that off at the pass. Yes, people love to play with their cards which is why you see less counterspells, land destruction and ways to lock your opponent from playing Magic. You still have ways to do it (though I would like to see a little more non-basic land destruction), but they aren’t full blown competitive strategies anymore. Those are the types of decks that are fun for the person playing them, not the person playing against them. Guess what happens if you don’t have fun playing a game? You don’t play that game anymore. Magic is all about interaction, and that’s what these changes are allowing to happen. It’s the decks that anyone can play (Affinity in Mirrodin) that ruin the game. Sure, now there are some oddities such has each player having a Jace on their side of the battlefield. But if that flavor issue was the only thing holding back that rule, then maybe the game is better off not having it. Vorthos has had so many wins in changes lately that there needs to be that shift of the pendulum back to Melvin. The fact that Clone can’t kill a Legendary creature anymore is fantastic; Blue should not be able to kill creatures outright and yes, I feel that Rapid Hybridization is bad (though there’s some discussion that a color pie interest in Vorthos, but I feel it’s a mixture of Vorthos/Melvin). The “worst” scenarios I’ve heard of include “Jace, the Mind Sculptor battles, linking Gaea’s Craddle for more mana, and maybe Geist of Saint Traft being harder to kill; if that’s as bad as it gets, then that’s pretty good. This change of the rules is something that WotC has thought about and designed for. They’re not a decision they made over night and just shooting from the hip. In the first block after the M10 changes to damage on the stack, Zendikar/Worldwake/Rise of the Eldrazi had four creatures that had a self sacrifice effect, and three of those were in the last set of the block. I’m sure that in Theros (which is now pretty much “confirmed” to be a Legend-matters block), we’re going to see why this rule has changed. This has direct action in the upcoming months, not just some random change for some random point down the road. Does this open up design space for Legends/Planeswalkers? Yeah. Now, because each player can have the same Legend on the battlefield, you can design mechanics that benefit multiple Legends, or effects that hurt the opponent where in multiples can cause plenty of issues (like each opponent losing 2 life a turn during their upkeep). With Planeswalkers, you can play with them instead of watching them being used as an expensive Dreadbore (Or use your Karn to exile your opponent’s Karn which is kinda funny). I see the reasons behind this change, but I haven’t played with them yet. No one has, except WotC. I will hold all final judgments until I see on the same Legend on the other side of the table as what’s staring back up at me. Could this be a really bad idea? Sure, and WotC could change it back a year later. But I’m glad that they’re trying this out. Games need to continue to grow and get better; Magic is no different. Legendary permanents have always had a problem even though they’re pretty cool. This time, in the fight between gameplay and flavor, gameplay won. Just like with any rules change, there will be a few oddball cases with the previous cards, but it’ll just be something that we get used to. If the new Planeswalker rule doesn’t stick, someone from my LGS told me his idea a few weeks ago. When you cast your Planeswalker, your opponent’s loses loyalty counters equal to the number on the incoming Planeswalker, and yours loses amount lost from their Planeswalker. So if your opponent’s had 2 loyalty counters while the new one you cast has 5, your opponents loses 2 counters and yours loses 2 so that your new Planeswalker enters with 3 counters. Basically like it switched sides. I thought that this was a pretty cool idea, and very flavorful as well. You can have that one WotC, if this experiment fails. But at the moment, we’re going with this idea. 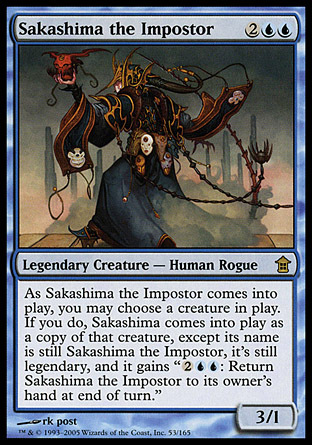 M14 is not shaping up to be as Vorthos friendly as the past few Core Sets, and that’s ok. We need to continue to shake and try things out. This isn’t going to kill Magic. It’s not dumbing down the game. It’s fun to play with the expensive and cool bombs in your deck. You should try it some time.